Little Girls, Big Style Book Blog Tour (My turn!) - Stop staring and start sewing! Okay, so I'm Mary's slow friend. I knew she was up to something but I could not, for the life of me, guess what. Well finally, some time early this year, Mary put me out of my misery and spilled the beans that she was finishing up a book and it was close to being done. Once I saw the picture on the cover I figured if the inside was even half as wonderful as the outside I was going to love this book. Boy was I right! 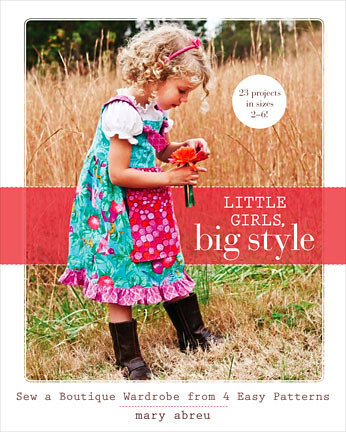 Little Girls, Big Style is stuffed with beautiful pictures, sweet, detailed sketches, and all the instructions and photos you would need to be able to make the 23 projects in this book. Mary covers all the bases here without bogging it down with unneccesarry fluff. Hate ruffles? This book is for you! Love ruffles? This book is for you too! You can make your projects simple or over the top froufy depending on what you like and who (whom?) you're sewing for. 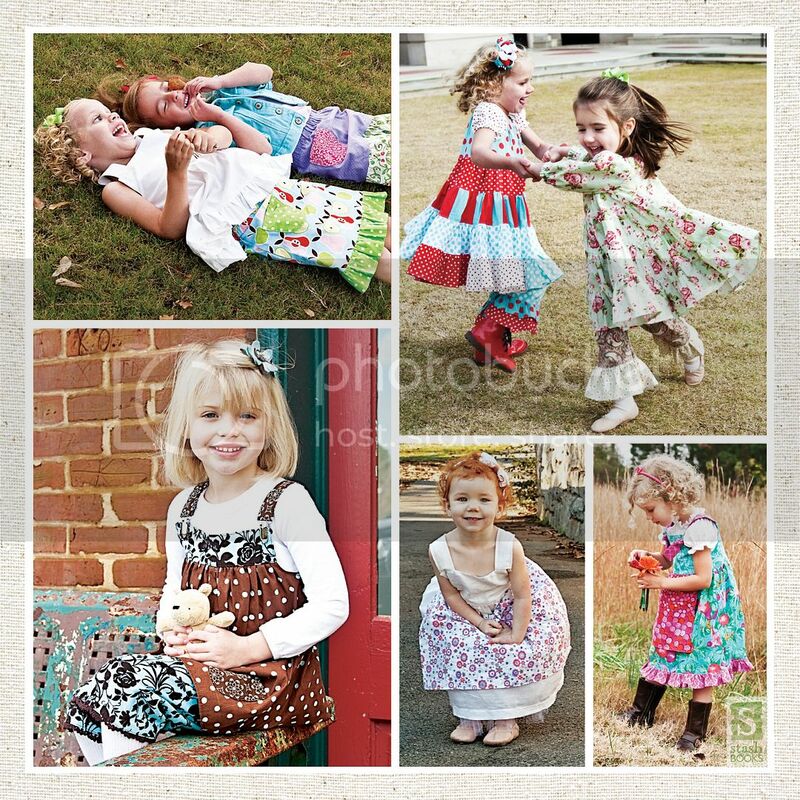 If you're a beginner you'll love the clear photographs of simple skills like shirring, gathering, and inserting elastic. For the more experienced sewist you can skip those parts (but I thnk it's always good to take a look) and move straight into creating a beautiful garment. Here is a small sampling of the gorgeous photos inside the book. 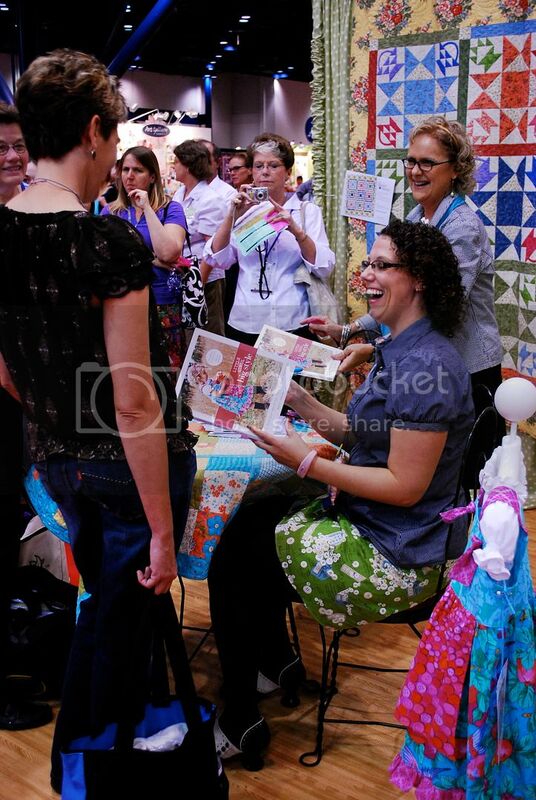 Here's a shot I got of Mary signing her book at Quilt Market this past October. The line was a mile long and everyone had a big smile on their face when the got a peak inside their new, cute book. Well done Mary!! To celebrate the release of Mary's first book the nice folks at Stash Publishing (follow the link to see all the other great books they have) are giving away a free copy for each blog on the blog tour. The winner will recieve their copy straight from Stash. 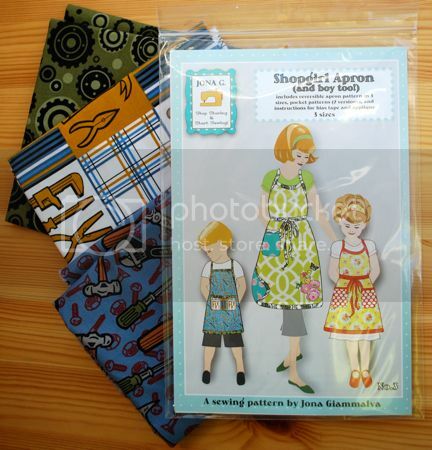 And since today is also Sew Mama Sew's December Give Away Day (follow that link for give aways from hundreds of blogs! Seriously!) I thought I would sweeten the deal by throwing in something for those of you who have little boys to sew for (the girls are covered quite adequately with all the cuteness in the book). Here is one of my Shopgirl (and boy too!) apron patterns and all the fabric needed to re-create the boys apron on the front. Just leave a comment and I will draw a winner on Friday! And don't forget to visit all the other blogs on the Little Girls, Big Style Book Blog Tour listed below! Good luck! Oh and be sure to stop by my store Fabritopia, where Kate Spain's 12 Days of Christmas is now only 5.00 a yard!